Penn State Milton S. Hershey Medical Center publishes Penn State Medicine to communicate advances in health care. 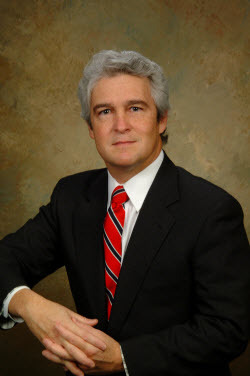 John T. Repke, M.D., F.A.C.O.G. Greetings from Penn State Hershey! I am pleased to share with you the first issue of the OB/GYN Medical Report from the Department of Obstetrics and Gynecology of the Penn State College of Medicine and Penn State Milton S. Hershey Medical Center. We recognize the importance of collaboration among our peer physicians, and regularly work with other academic medical schools to propel our field forward through new research discoveries, better patient care, and educating new physicians. Our hope is that this publication helps inform physicians like yourself of some of this important work, and that you find it to be a valuable resource. Kristin Riley, M.D., fellow, assists Gerald Harkins, M.D. during minimally invasive gynecologic surgery. 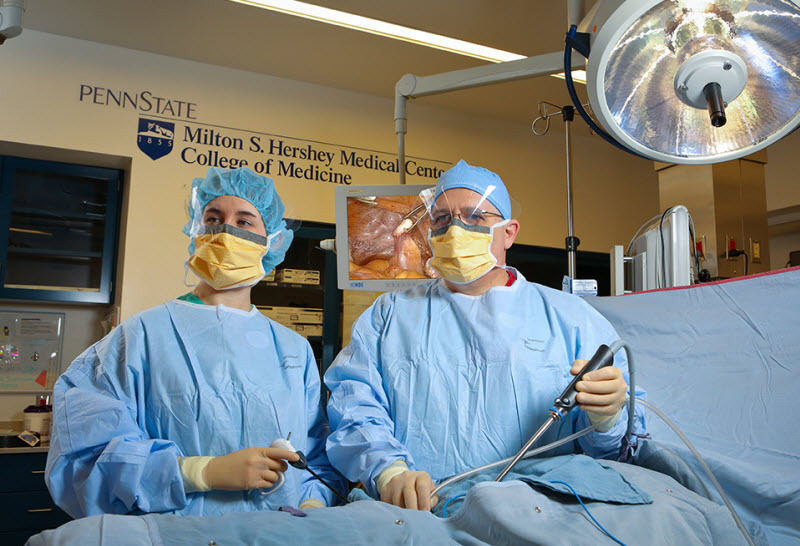 As part of its residency training program, residents act as lead surgeon or as first assist in 96 percent of the minimally invasive hysterectomy procedures at Penn State Milton S. Hershey Medical Center. Ovarian cancer, occurring in approximately 25,000 women each year in the United States, frequently presents as advanced disease, with most cases at stages 3/4 at initial detection. Improvements in chemotherapy regimens and cytoreductive surgery have boosted five-year survival rate to about 40 percent. “On average, most of these patients will require two or three additional cytoreductive surgeries over five years, and right now most are managed with conventional open laparotomies,” explained James Fanning, D.O. of Penn State Hershey Gynecologic Oncology.